To successfully optimize your pricing and portfolio subscription models, it’s essential that you understand a.) how the current market impacts consumer purchase decisions and b.) how to adapt your market research strategy to stay ahead of the competition. 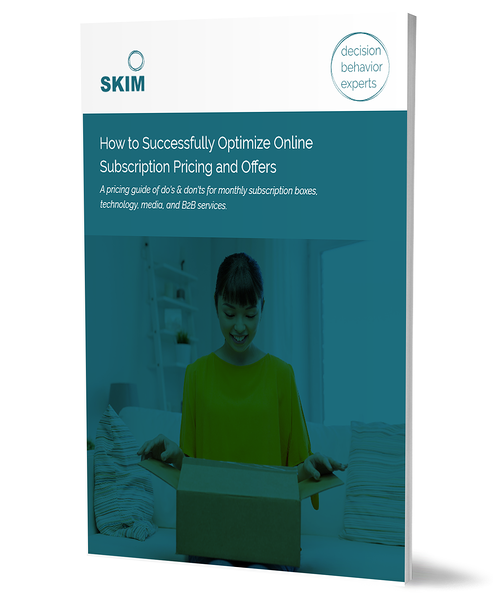 These are the questions this guide answers, equipping you with the approach, the strategy, the best practices and the market considerations you need to successfully optimize your pricing and portfolio for subscription models in the eCommerce space.